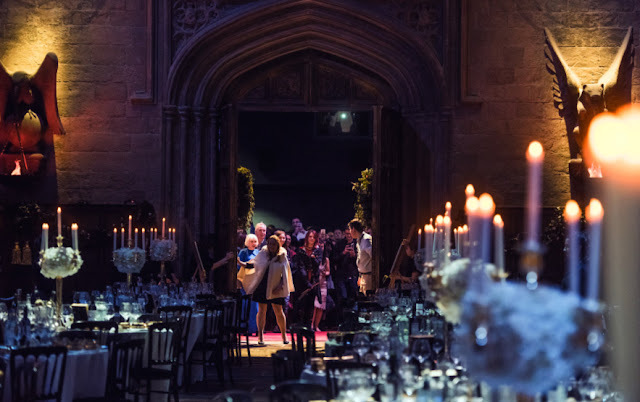 For all you Harry Potter super fans out there, Warner Bros. is taking reservations for a special Valentine's Day dinner in the Great Hall of Hogwarts this year. The experience runs on February 13 and 14, 2016 and includes pre-dinner drinks and canapes, a 3-course dinner on the actual set of the Great Hall from the Harry Potter movies (decorated for the occasion of course), after-hours access to the Warner Bros. London Studio Tour (which includes various Harry Potter sets), a tankard of Butterbeer (of course! ), after-dinner tea (or coffee) and chocolates, plus a magic wand of your choice. The price tag on the Valentine's Dinner for two is £495 (~$715.32) plus you'll need to get over to London somehow (you might have to pay a visit to Gringotts for this one). Considering that the studio tour is normally £35 per person and a wand goes for £26.95, that breaks down to £371.1 (~$536.18) for the various food and drinks for two people, which is fairly competitive for a fancy dinner on Valentine's Day. For the younger Harry Potter fans, you're going to have to miss out on this one as it's 18 years and over only due to the alcoholic beverages being served (you only have to be 18 years old to drink in the U.K.). Photos via Warner Bros. Studio Tour London.